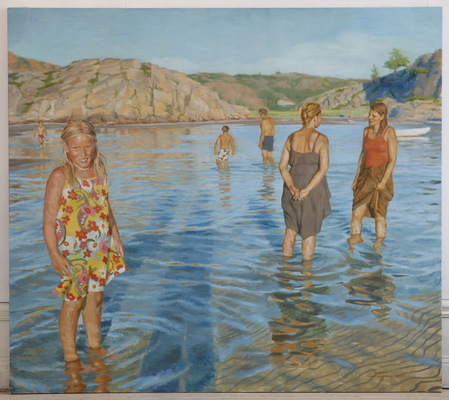 'Bathers at small Skarvesäter' - - 172 x 153 cm, oil on canvas. 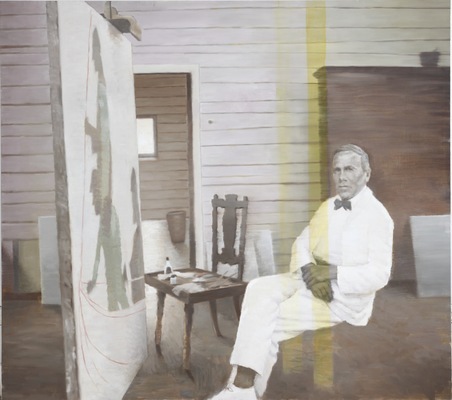 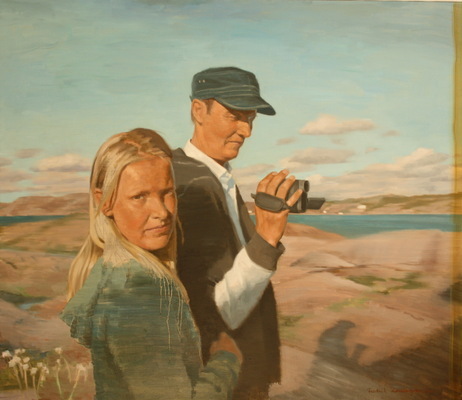 'Filming at Gåsö' - - 130 x 112 cm, oil on canvas. 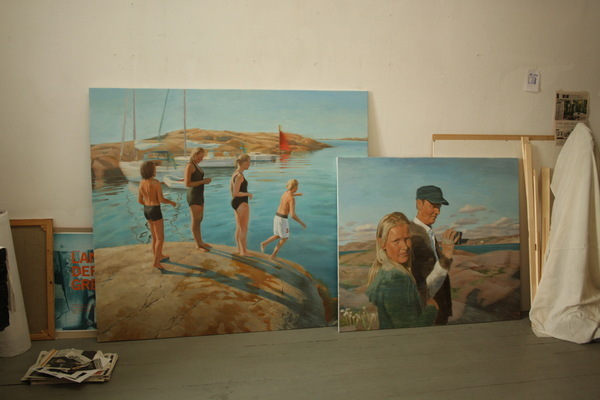 'Bathers at small Skarvesäter' with 'Filming at Gåsö' , in atelier Kyrkhamn 2011. 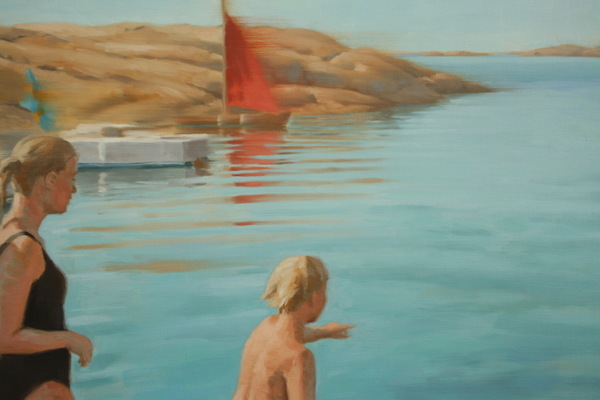 Detail from 'Bathers at small Skarvesäter'. 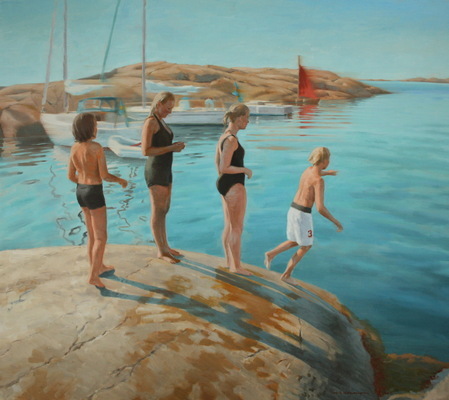 'Grundsund and the sea' - - 130 x 112 cm, oil on canvas. 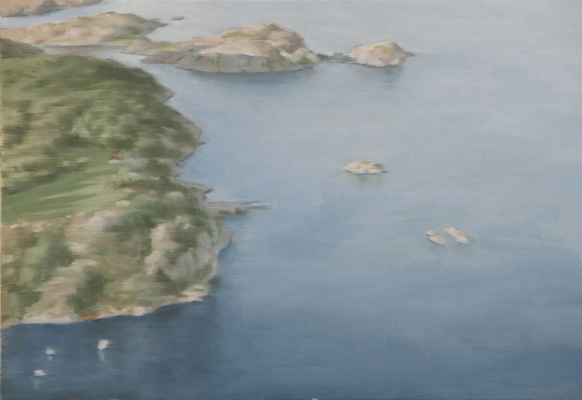 'Flying towards coast turquoise' - - 67 x 42 cm, oil on canvas. 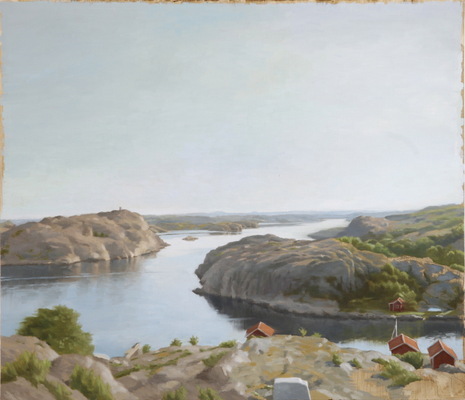 'High above the sun-drenched street of Gullholmen' - - 67 x 42 cm, oil on canvas. 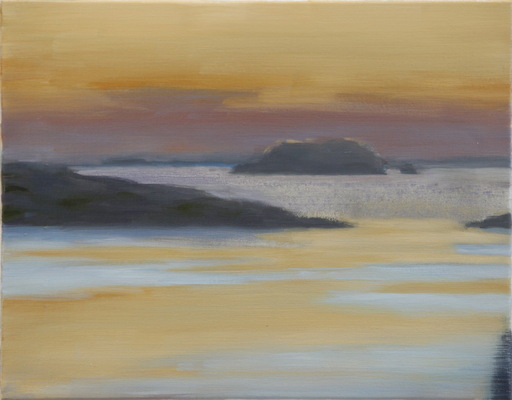 'Early morning over Stumpeskagen' - - 67 x 42 cm, oil on canvas. 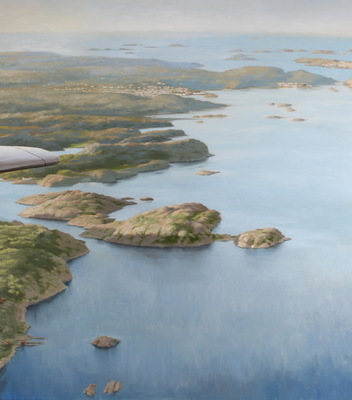 'Flying over Skaftö' - - 67 x 42 cm, oil on canvas. 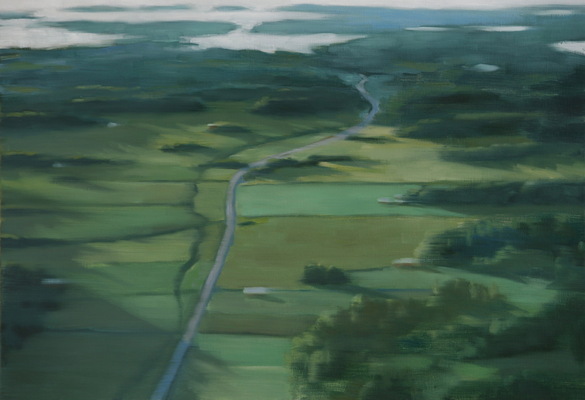 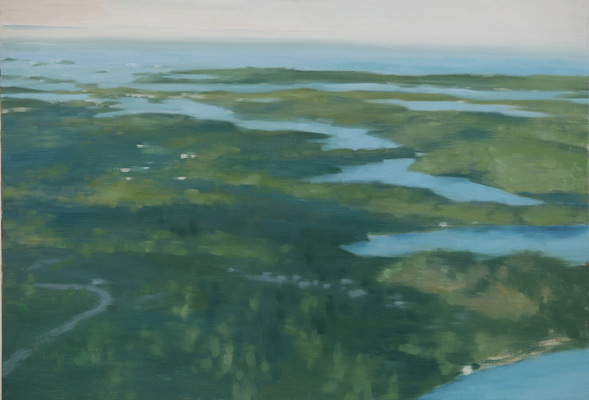 'Flying over Östersidan and Fiskebäckskil' - - 67 x 42 cm, oil on canvas. 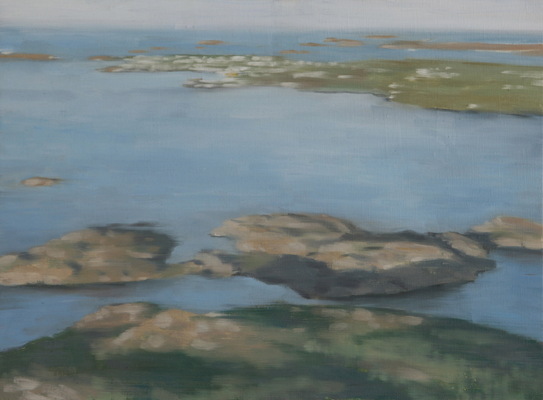 'Boy-sea just outside Trollevik' - - 67 x 42 cm, oil on canvas. 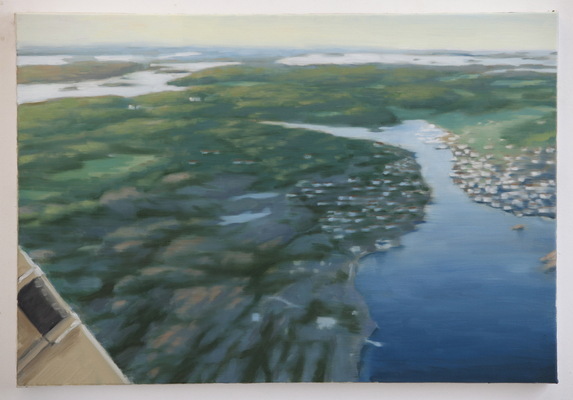 'Flying over Gullmarsfjorden, and Stumpeskagen' - - 200 x 225 cm, oil on canvas. 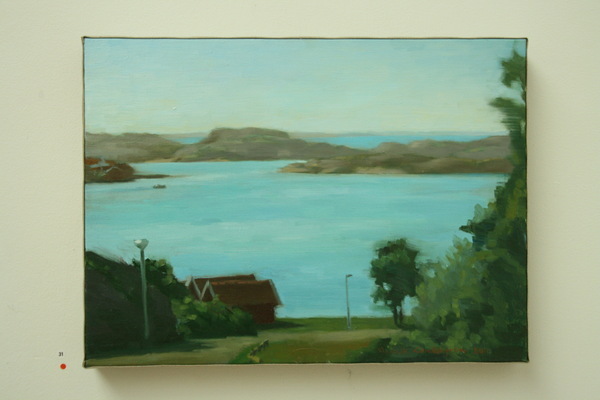 'View from Tant Sofias; evening falls over Humlesäcken' - - 50 x 38 cm, oil on canvas. 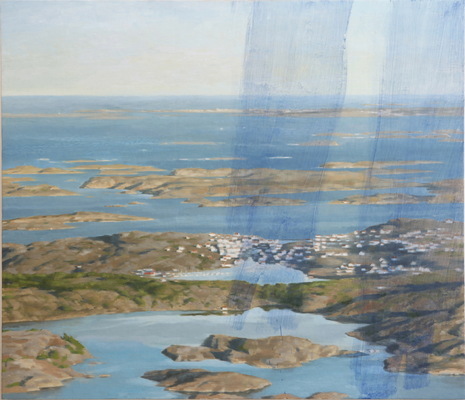 'View from Tant Sofias; Humlesäcken and Långegap'. 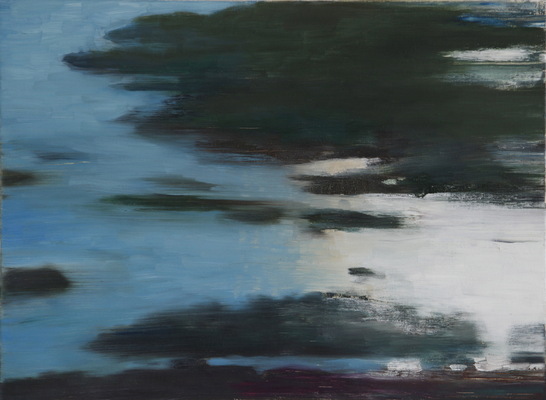 - -32 x 37 cm, oil on canvas. 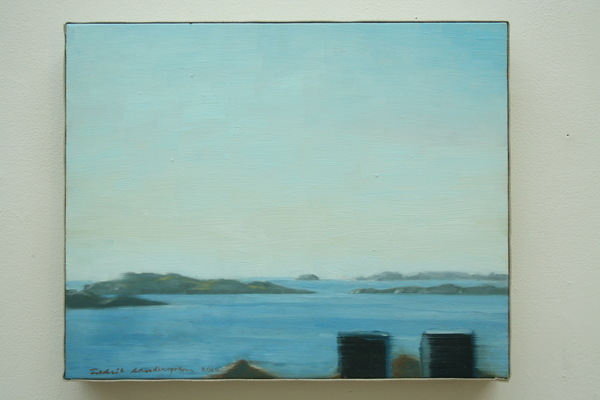 'View from Adas Trapp, Fiskebäckskil' - - 42 x 55 cm, oil on canvas. 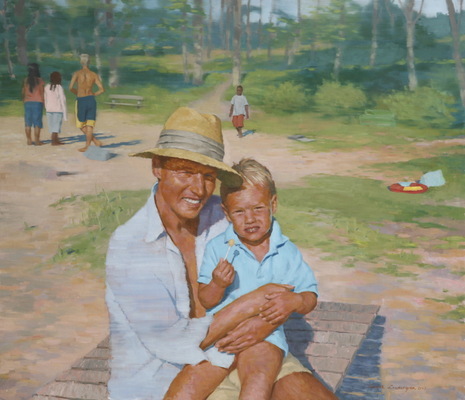 'Father and son' - - 130 x 112 cm, oil on canvas. 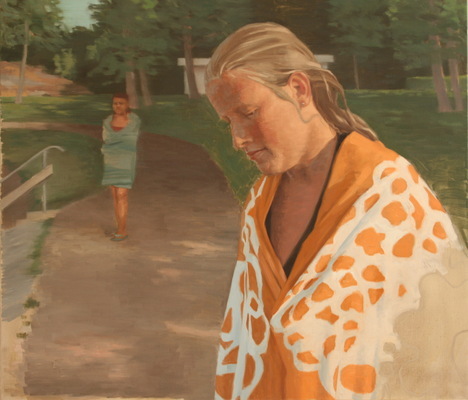 'Josefin and Anna' - - 130 x 112 cm, oil on canvas.